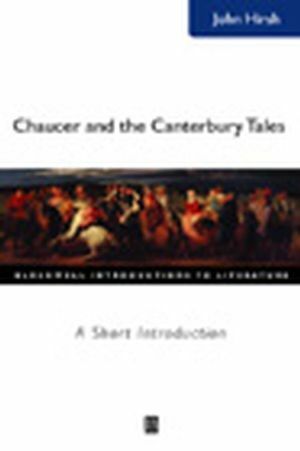 This concise and lively survey introduces students with no prior knowledge to Chaucer, and particularly to The Canterbury Tales. Provides essential facts about Chaucer, as well as a framework for thinking about his poetry. Encourages an engaged reading of The Canterbury Tales. Introduces students to the historical and religious background needed to understand the contexts in which Chaucer wrote. Provides essential facts about Chaucer, as well as a framework for thinking about his poetry. Encourages an engaged reading of The Canterbury Tales. Introduces students to the historical and religious background needed to understand the contexts in which Chaucer wrote. John C. Hirsh is Professor of English at Georgetown University in Washington D.C. His previous publications include The Boundaries of Faith: The Development and Transmission of Medieval Spirituality (1996), The Revelations of Margery Kempe: Paramystical Practices in Late Medieval England (1989) and Hope Emily Allen: Medieval Scholarship and Feminism (1988). He has also edited ‘Barlam and Iosaphat’ (1986) for the Early English Text Society. Gender and Religion, Race and Class. Which Tale Was That? A Summary of theCanterbury Tales. List of Authors, Compilers, Editors, and Translators Referred to in the Select Bibliography.